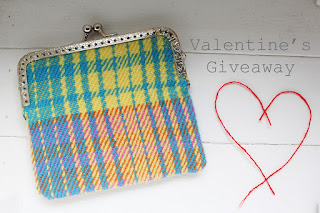 Elinor Rothero: WIN - Valentine's Day Giveaway! WIN - Valentine's Day Giveaway! For a chance to win on my Valentine's Giveaway, head over to my Instagram @elinorrotherotextiles page! Competition ends Sunday 12th February and winner announced on Valentine's Day. Good luck!! *Competition is UK only and in no way associated with Instagram.